People seem to have pretty strong opinions on replica kit cars. While some can be quite good looking, there have been plenty of tragic Pontiac Fiero-based Ferrari replicas over the years. Ferrari has historically been the most replicated brand using cheaper mid-engined cars like the Toyota MR2 and Pontiac Fiero as a base but recently people have started to create their own replicas of the Bentley Continental GT. The last Bentley replica we saw was based on a Mustang and it was fairly easy to spot how the car was fake. So we were extremely surprised when we saw yet another Continental GT replica for sale on eBay that looks pretty darn close to a real one. From far away, it's hard to tell this car is anything other than a Bentley Continental GT Convertible. In reality, the seller says this replica is based on a 2015 Chrysler Sebring Convertible. This must be an error because if the Chrysler is a 2015 model year, it would actually be a 200, not a Sebring. Minor naming minutia aside, the car's transformation is pretty extensive. The seller says the car was converted using factory Bentley parts and now carries an "Assembled by Parts” title with its own unique VIN. Some of the original Bentley parts include a steering wheel, emblems, taillights, dashboard, sunglass holder, and even a Breitling dashboard clock. There are some giveaways that it's a Chrysler, like the gauges, navigation system, and shifter, though the ower even did a fair job replicating the Continental's Passat-derived shifter pattern. Of course, this car features a Chrysler V6 engine and drivetrain rather than the W12 out of a real Bentley. The eBay listing also mentions a few faults including a slow driver side window, leaky window moldings, and a delicate hood. It does seem like this car was given a lot of love and attention but is it truly worth its current bid of $45,000? Probably not. 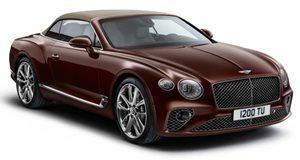 For around the same price, you could probably go out and find a real Bentley Continental that has heavily depreciated. As it sits, the car hasn't even met its reserve, so we don't believe it will sell.